Learn to cross country ski in rustic Breckenridge Colorado. Breckenridge cross country ski centers offer visitors rental equipment, classes, and tour guides. You can learn this exciting sport easily. The over six miles of groom cross country skiing trails give skiers the chance to see some of the most beautiful winter scenery in the county. Plan your cross country experience in Breckenridge today! Cross country skiing is abundant in Breckenridge, Colorado. The cross country atmosphere is casual and friendly in Breckenridge. When you travel to Breckenridge cross country ski across some of the most beautiful terrain in the country. Breckenridge cross country ski trails offer some of the best-groomed locations in Colorado. Cross country ski guides are available to take you on your adventure. Breckenridge has three main cross country ski centers, the Breckenridge Nordic Ski Center, Gold Run Nordic Center, and Frisco Nordic Center. The Breckenridge Nordic Ski Center is located near Breckenridge’s Peak 8 base. You can reach the Breckenridge Nordic Ski Center via the free town buss. Here you can travel twenty miles of double trails. There are trails for all ability levels. At the Breckenridge Nordic Ski Center you can rent equipment, take lessons, and hire a guide. The second of the Breckenridge cross country ski centers is the God Run Nordic Center, which is located off Tiger Run Road, near the Breckenridge golf course. Here you can ski seventeen miles of trails for all ability levels. Lessons, rentals, and guides are available. This center has astonishing views of the Ten Mile Mountain Range, which creates great photographs. Finally, the Frisco Nordic Center offers thirty four miles of trails, both classic and freestyle. This center is located right on highway nine. The Frisco Nordic Center also has ten miles of snowshoe trails. You can take classes and rent equipment at the Frisco Nordic Center. Cross country skiing is easy to learn, and it is an extremely healthy activity to engage in. 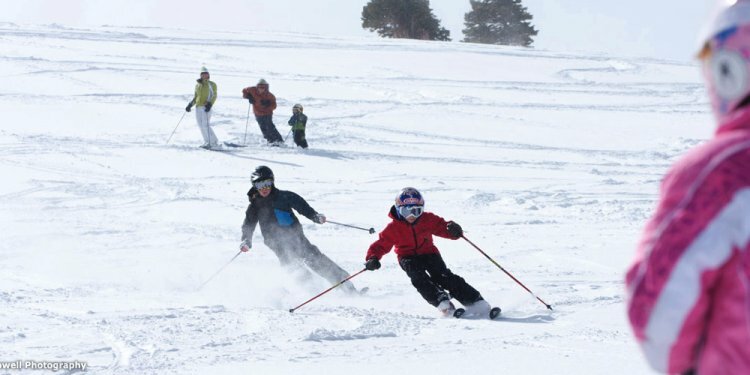 The instructors in Breckenridge say “if you can walk, you can ski!” The centers offer group and private lessons, whichever you prefer. There are even specialty clinics offered if you have a specific skill you need to tackle. The trails are mapped and clearly marked. Beginning skiers will enjoy the flat terrain near the beginning of the courses. Intermediate courses head over rolling hills and beaver ponds. The great thing about Breckenridge cross country ski trail pass tickets is that they are interchangeable between the three centers, so the cross country skier can buy one ticket and explore the trails of all three centers. The centers host events for the locals all year round, which are great times for kids to have fun competing for prizes. When going cross-country skiing, it is important to bring hats, sunglasses, and gloves. As the sun can be intense in Colorado, you will want to dress in layers and wear sunscreen. You can go to one of the waxing clinics to learn how to care for you skis correctly. You also can rent your skis for more than one day. The centers have free parking and restrooms. You can also change your skis for snowshoes if you desire. The Breckenridge cross country ski centers offer visitors the chance to learn an invigorating and fairly easy sport. At the centers you can rent equipment and take classes. When planning your trip to Breckenridge, Colorado, be sure to plan some time to learn to cross country ski. It will be a great memory!